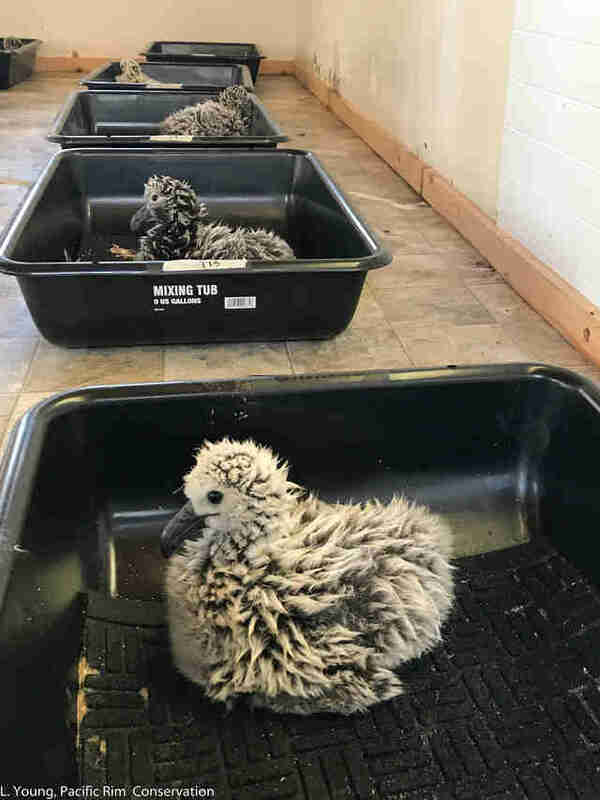 Black-footed albatrosses can grow to have a wingspan of 7 feet - but the chicks who recently landed at Honolulu International Airport are still so small people had to fly them in a plane. 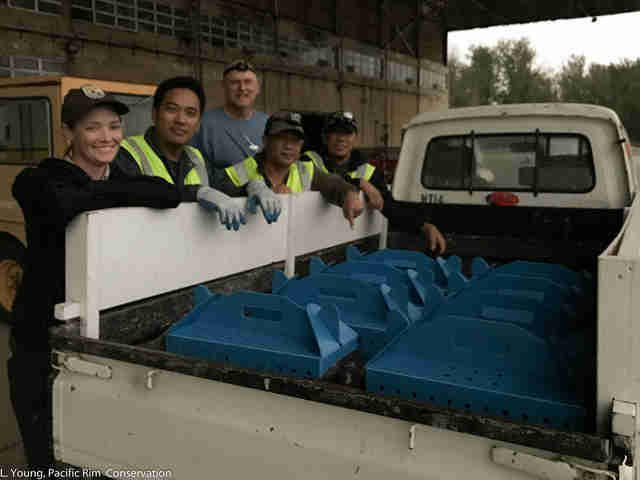 Escorted by staff from Pacific Rim Conservation (PRC), the 15 baby birds arrived late at night on February 16. 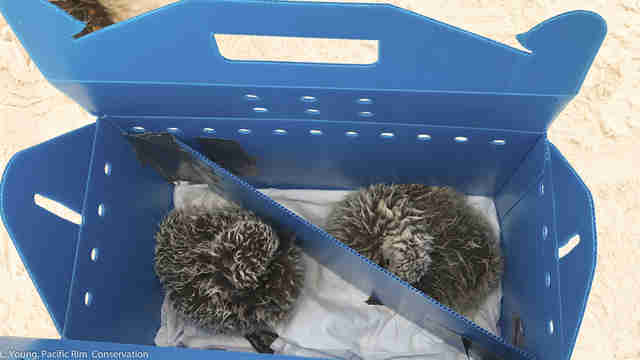 The little fluffy chicks brought with them a lot of cuteness, as well as hope for the future. 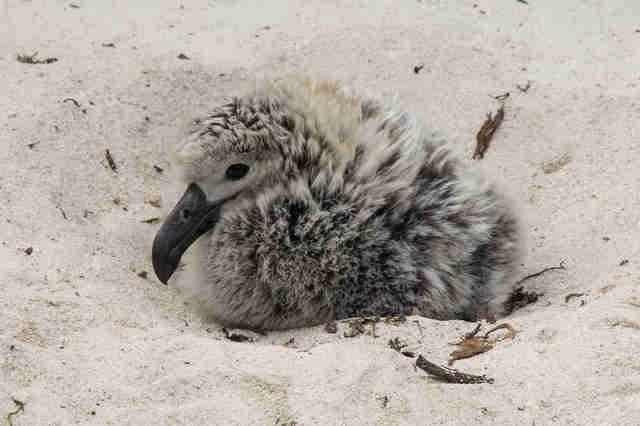 The chicks - who were born about three weeks earlier at Midway Atoll National Wildlife Refuge and Battle of Midway National Memorial at the far northern end of the Hawaiian archipelago - will help form a new colony on the north shore of Oʻahu, at the James Campbell National Wildlife Refuge. 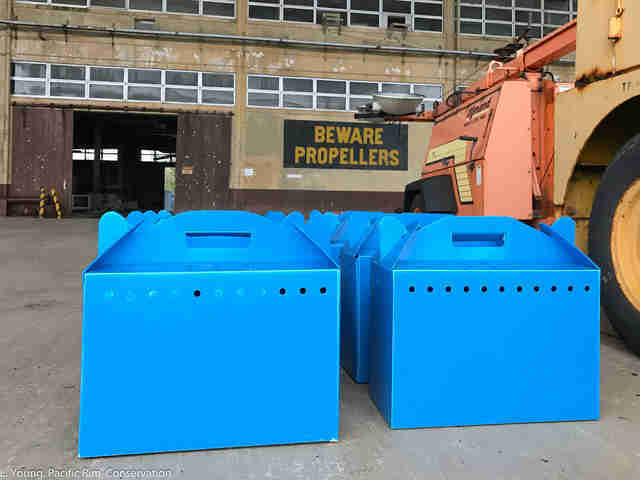 People carried the birds to their new home, where they'll be monitored and hand fed by biologists for the next four or five months, until they can fly out to sea and feed themselves. 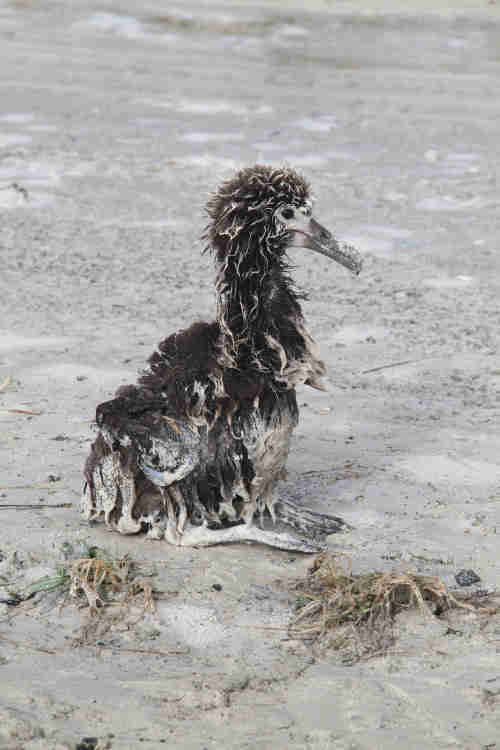 The hope is that these chicks will return to this higher ground, where they'll be safe to raise their own chicks. 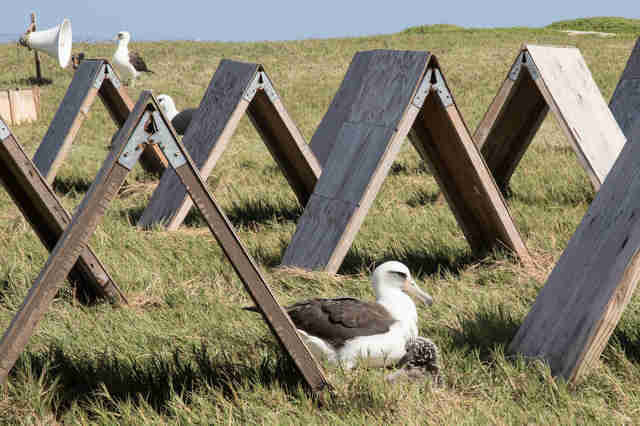 Albatrosses are becoming increasingly threatened because rising oceans - attributed to climate change caused by human activity - are destroying their nesting habitat, usually located along low-lying islands. 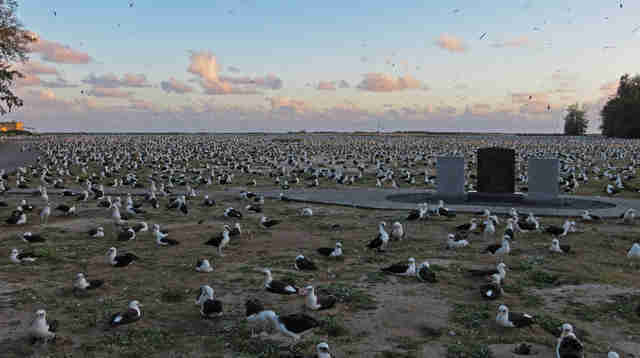 The location where the chicks were born is home to 90 percent of the world's breeding population of black-footed albatrosses - and the regions are expected to be flooded by storm surges and sea level rise in the coming century. 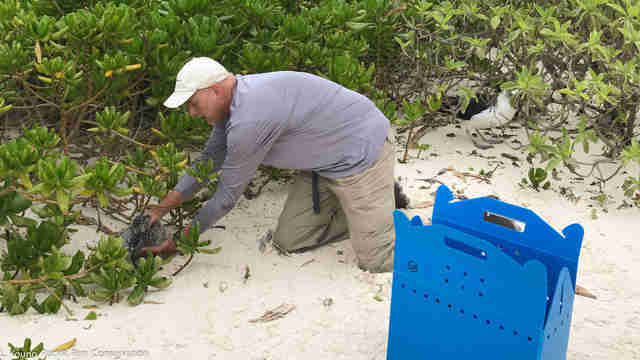 "A new colony is important for this species in particular because it nests mostly on low-lying atolls that are at most a few meters above sea level," Eric VanderWerf, president of PRC, told The Dodo. 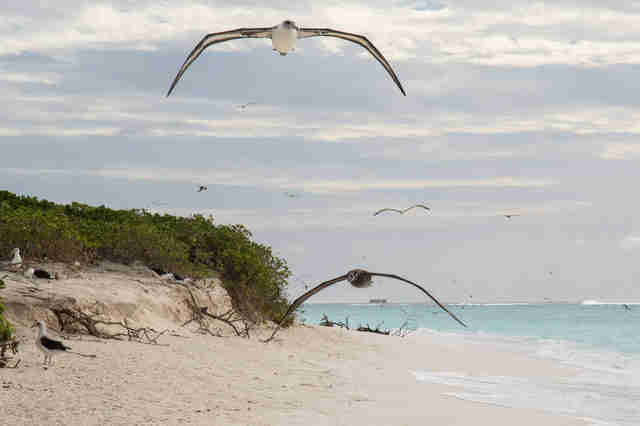 "Climate change has already impacted this species by washing away thousands of nests on low atolls in the Northwestern Hawaiian Islands." 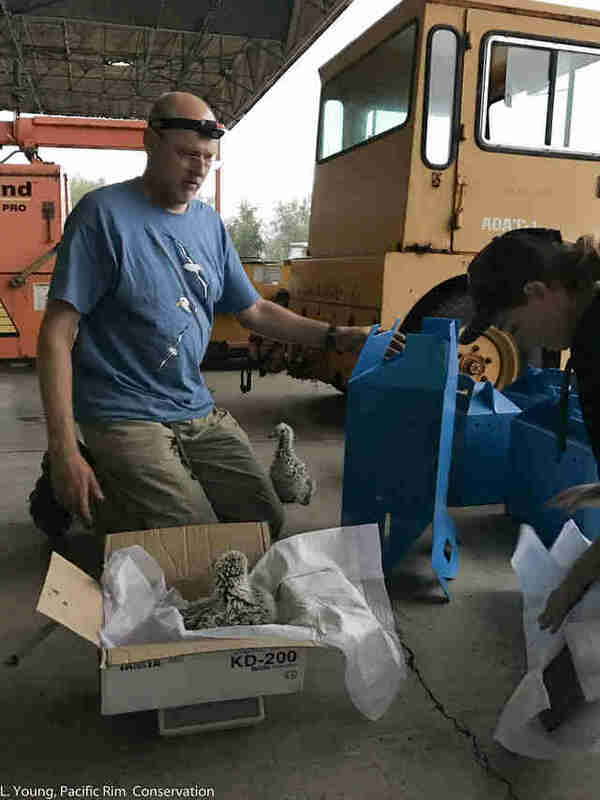 "This translocation is the first step toward ... ensuring the albatross will be protected for future generations," Joseph Schwagerl, manager at the James Campbell National Wildlife Refuge, said. The future just wouldn't be the same without them. 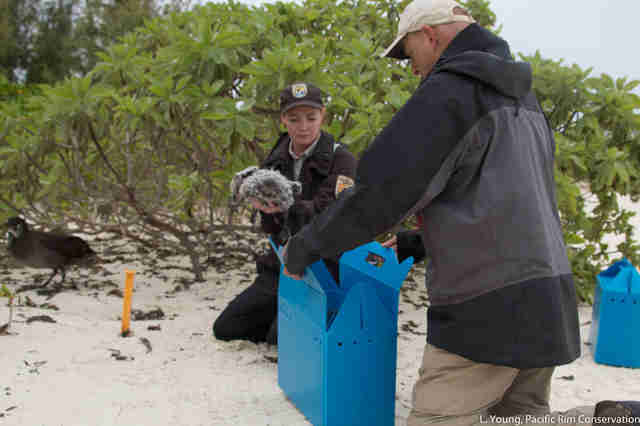 To help protect animals like these little chicks, you can make a donation. 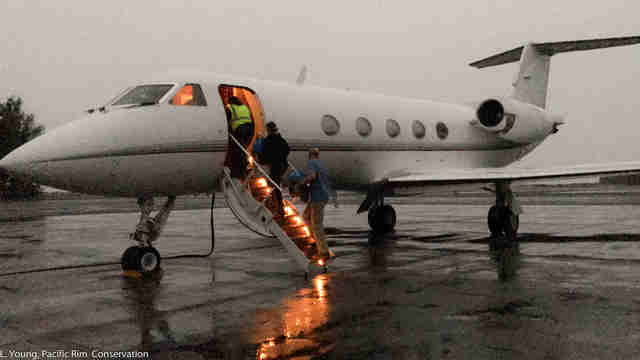 Correction: A previous version of this article said that staff from the U.S. Fish & Wildlife Service (USFWS) escorted the birds. It was actually people from PRC.